Welcome to Best Book Ever! Each week we get together and pick our favorite book in a specific genre and tell the world why we think it is the best ever. We are making things more fun for you this week- link up with us and tell us what YOUR favorite book is in the genre we picked! 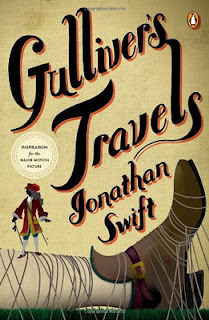 I’m going really old school with this one: Gulliver’s Travels by Jonathan Swift. And some of you may, in fact, have encountered this one in school as I did. It may not seem all that groundbreaking today, but it certainly was back in 1726 when it was published. It was taught to me in high school as the precursor to the modern novel, a riff on the travelogues that were popular at the time—there’s all sorts of literary symbolism in it, and a complex character arc, and it’s pretty sprawling in its scope and imagination, as it traverses four unique and astonishing islands, with a heavy amount of political satire that may escape many contemporary readers without study guides on hand. Some even consider this to be proto-science fiction, and I’m happy to credit it as such. Whatever its considerable literary merits and significance in history, finding a copy of Gulliver’s Travels in a yard sale basically saved me from a boring summer vacation, when I picked it up well before I encountered it in school; though a fair portion of it went over my head, I was completely captivated by the story, and I still like to reread it from time to time. As an added bonus, Gulliver’s voyage to Laputa, the flying island, was one of the influences on one of my favorite Studio Ghibli masterpieces, Castle in the Sky. 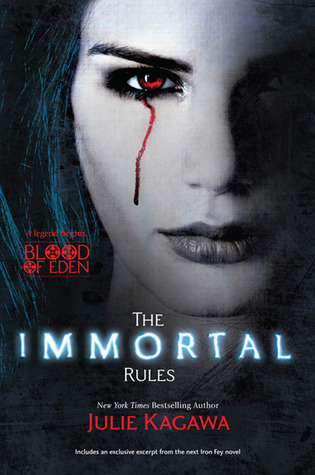 My choice would have to be the book I just got finished reading, THE IMMORTAL RULES by Julie Kagawa. You might say there's nothing ground-breaking about vampires, with which I might have to agree. BUT, this isn't just vamps, no it's also Dystopian! Never could there be a better combination (IMHO) Right from the first word this book had me captivated, spending every spare minute I had reading. I've never read anything by Julie Kagawa before, so I was new to her style of writing. This was an amazing introduction to an awesome author whom I now hold in the highest regard. If you haven't been fortunate enough to get this from Net Galley, I really do suggest buying it when it's released on April 24th 2012. It's one book I won't be sorry to buy. It's worth every darn penny! If you want to know more about my opinion of this book, visit my full review here. Stop by and leave a comment, I'd love to hear from you. 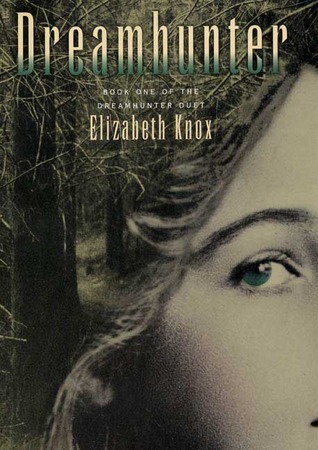 A few years ago I stumbled upon Elizabeth Knox's DREAMHUNTER Duet (Dreamhunter and Dreamquake). A friend of a friend had recommended it to me when she heard I loved to read. I bought a copy of the first book the next time I was in a bookstore and then it sat on my shelf for weeks. Finally I started reading it and was floored by how amazing it was. It's absolutely unlike anything I'd ever read. It's genre bending. It's an alternate history, a political thriller, a fantasy, and a romance all in one. The characters--the teens and the adults--are all incredibly fleshed out. Every time I closed the book, I thought about them and couldn't wait to get back to their story, and when it was over, I immediately jumped into book two, and when I finished that, I reread parts of both of them. The way the plot fits together is absolutely expert. It's wonderful. This week for BBE, I choose Forbidden by Tabita Suzuma. This book caused such an uproar in the blogging community that we even started a book club of fit. SO many of us had no intentions of reading the book until the book club began. I am thankful for the book club for intruding me to such an amazing, emotional and heart breaking book. 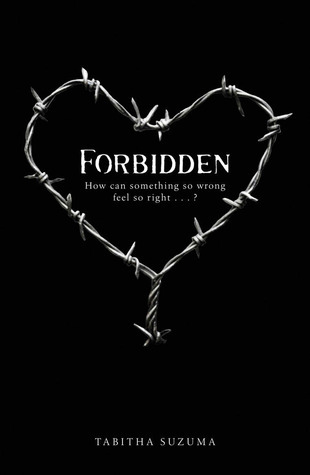 After you read Forbidden, it continues to stay with you for along time. I recommend to all, just go in with a very open mind. You won't regret it. I'm not going to be able to offer any praise for Speak that hasn't been said before, by people far more eloquent than me. So I'll make this simple -- if you've somehow managed to leave this book off your radar since it was published in 1999, fix this NOW. Speak is one of those books that is Capital I Important. Or bold Important. Both, really. 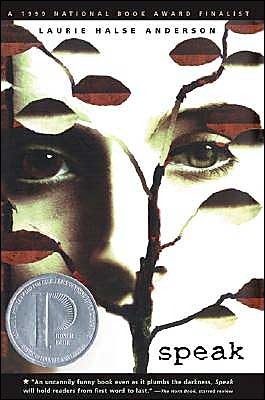 And like all books that tackle difficult topics, it's had more than its share of challenges and banning -- rather ironic for a book about a girl who feels silenced by something that happens to her. Speak was groundbreaking when it was published back when I was still in high school (you know, back when dinosaurs roamed the earth) and it still feels groundbreaking now -- this is both a testament to how timeless and Important the book is, as well as sad commentary about how far we still have to go to fix the problems and issues the book deals with. Now it is your turn! Leave a link below and let us know your favorite Groundbreaking book! Don't forget to grab the code for our image above and come back next week for the best Mystery book ever! I read Speak and thought it was very powerful. I read it when it first came out and still remember how I felt while reading it. Wow! I am very curious about Dreamhunter. I have never heard of it- but based on what you had to say I will have to check it out!